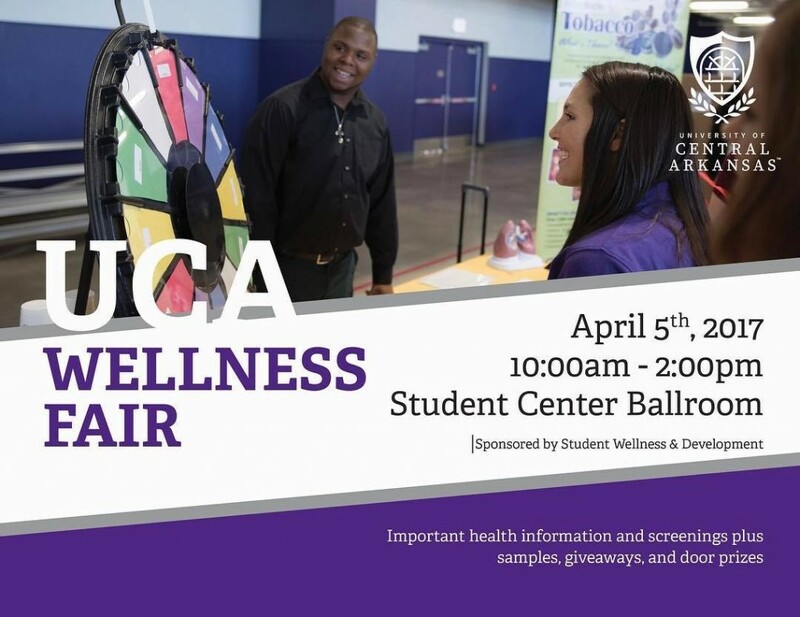 On April 5th, the UCA Wellness Fair brought together 40 wellness vendors to raise awareness about health issues and services available to assist students. Over 500 individuals attended the event which was held in the UCA Student Center Ballroom from 10:00 a.m. to 2:00 p.m. 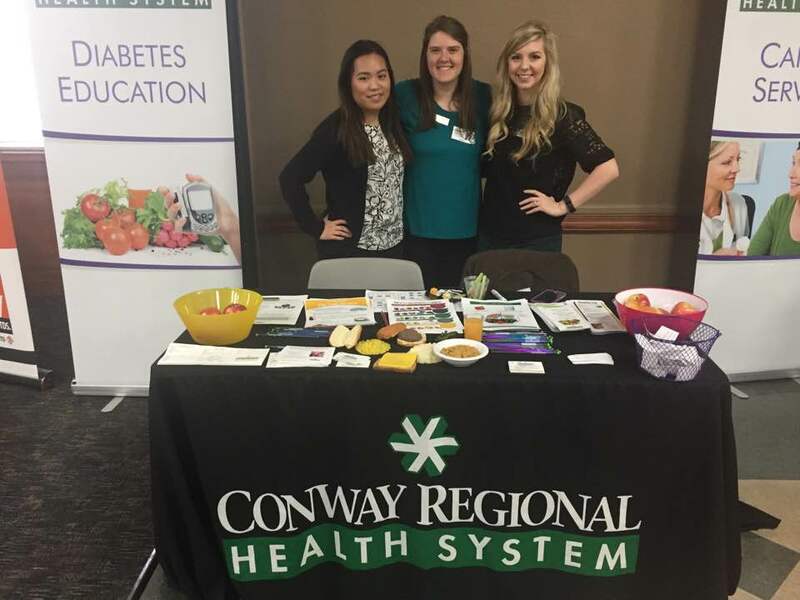 Vendors in attendance included: Conway Regional Health System, Hurley Chiropractic and Wellness Center, Smoothie King, American Heart Hospital, GNC, Arkansas Department of Health, PrimeCare, Susan G. Komen, Walgreens, and several UCA departments. Lauren Allinson, with Aramark had a colorful table with fruits and vegetables for students to sample. “We are incredibly thankful for the time and effort given by vendors and staff to educate our students,” said Davidson. 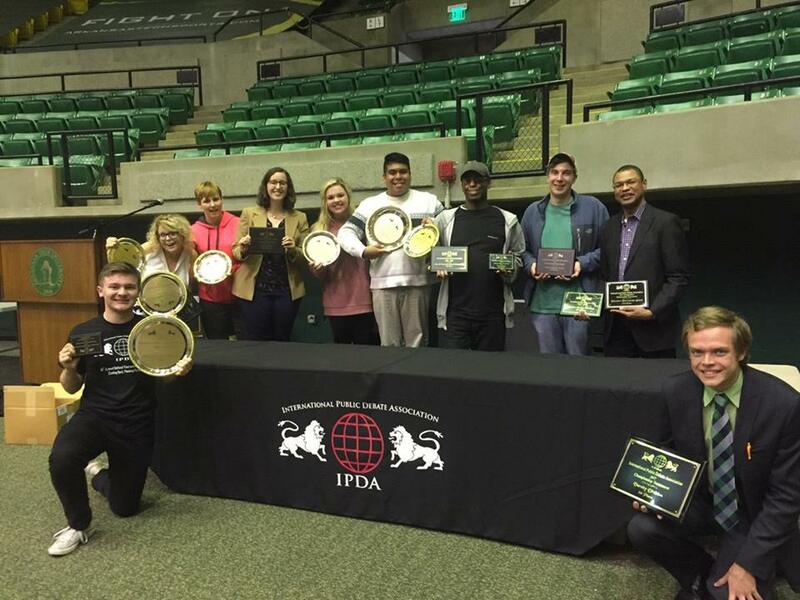 UCA Debate and Forensics ended its IPDA season on a high note by finishing third overall at the IPDA National Championship, held at Arkansas Tech University on March 23-26, 2017. This concluded one of UCA’s best seasons in recent history. The highest honor for the team went to sophomore Dalton Cook, who won the IPDA Championship in the varsity division. Cook had a 7-1 preliminary round record and was the second seed in the elimination rounds. Junior J.B. Wells also reached the elimination rounds in the varsity division and was recognized as the 5th best speaker in the division. In the professional division, Junior Leia Smith was the 8th ranked speaker at the tournament and reached the quarterfinals. In the junior varsity division, freshman Jacob Holland reached the octafinal round. Finally, in the novice division, freshman Cagney Kilgroe and senior Russell Holley were the third and fourth seeds, respectively, in the elimination rounds. Kilgroe reached the quarterfinals, while Holley was eliminated in the first round. In Team IPDA, the team of Cook and Wells had a 3-1 preliminary round record and reached the semifinals before being eliminated. Smith, who teamed with Holland, received an award for fourth speaker. Freshman Tanner Meyer, who teamed with freshman Wayd Risner, was recognized as the eighth best speaker in the division. In addition to finishing third overall at the National Championship, the team ranked fifth in Team IPDA Sweepstakes, third in the Founders Cup Sweepstakes (which combines the novice, junior varsity, varsity, and professional divisions) and second in the Scholastic Sweepstakes (which combines the novice, junior varsity, varsity, and team divisions). UCA Debate and Forensics was also recognized for its performance over the season. UCA was recognized as the top program for the season in Team IPDA. The team of Freshmen Tanner Meyer and Wayd Risner were ranked ninth for the season, while Cook and Wells were ranked fourth. Overall, UCA placed third overall for the season. This included fifth place in novice program sweepstakes, third place in junior varsity program sweepstakes, and third place in professional program sweepstakes. Holland spent half the season in the novice division and half in the junior varsity division; he was recognized as the tenth best speaker in both divisions. In junior varsity, Meyer was ranked fifth best speaker and seventh best debater for the season. Finally, Smith was ranked top speaker and third best debater for the season. This marked Smith’s third season-long season speaker championship. Though the IPDA season is over, one event remains. Cook and Smith will be representing UCA at the James Madison Commemorative Debate, to be held at James Madison University on April 17. 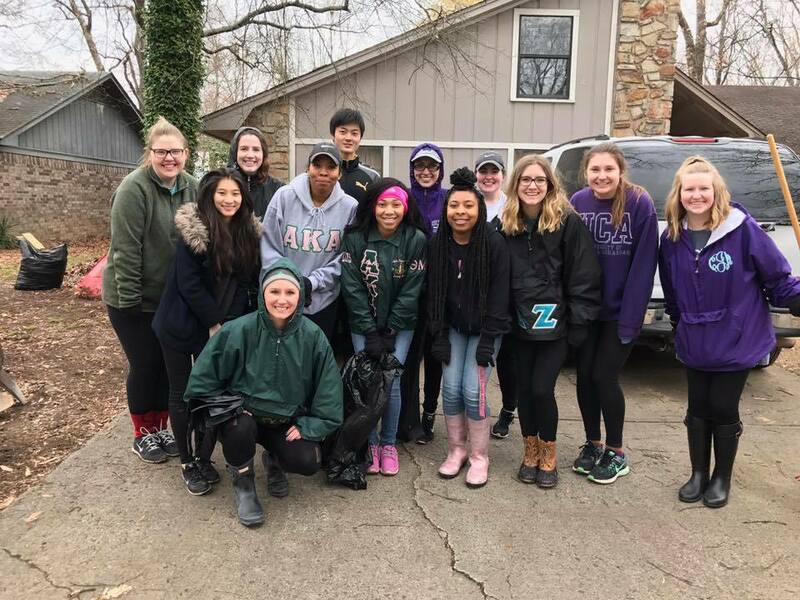 The University of Central Arkansas community came together to give back during The Big Event on Saturday, March 11. 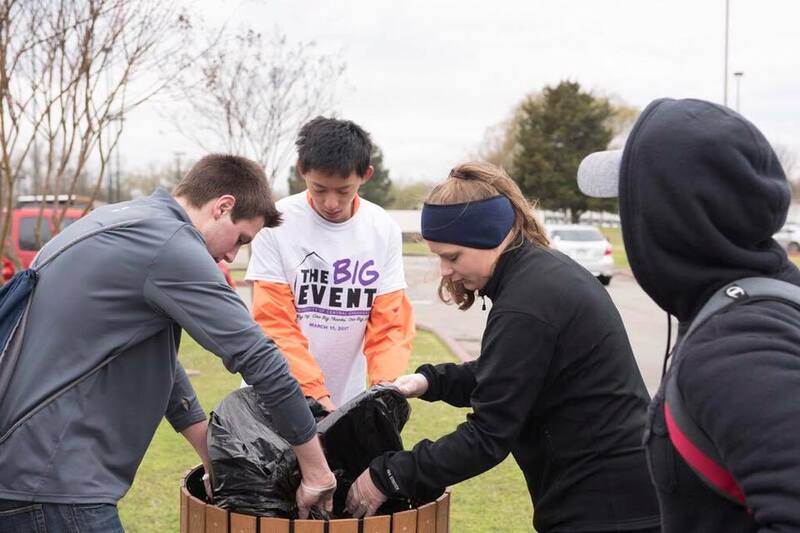 The Big Event is an annual event that brings UCA and Conway together through philanthropy and service. 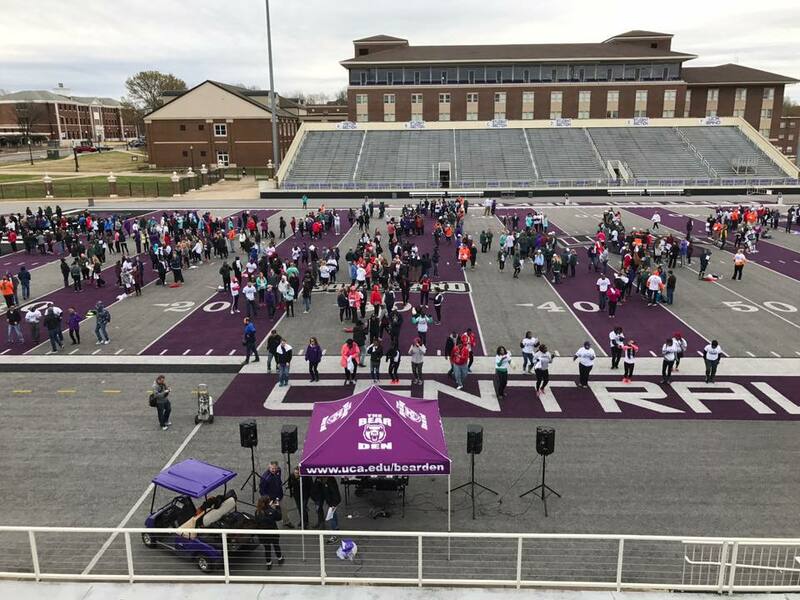 UCA students, staff, faculty, and alumni united for one day of service to say “Thank You!” to the Conway community for all of the support they lend to our campus. 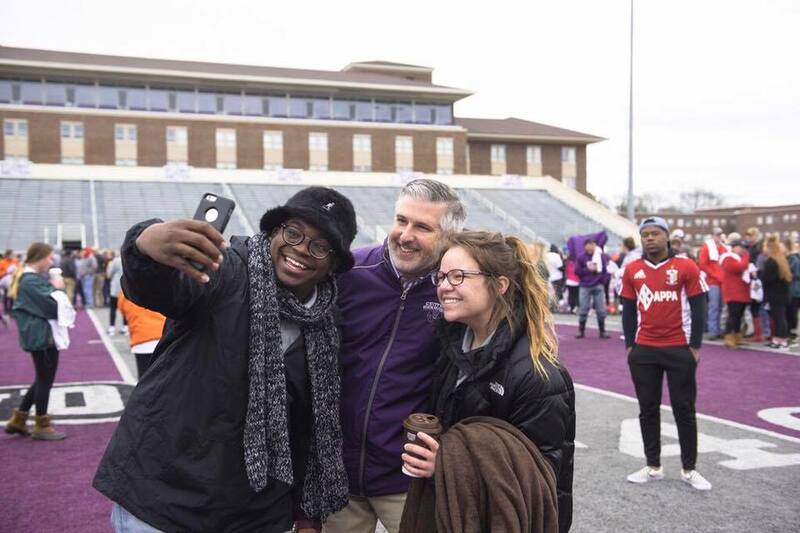 Each year, UCA students organize The Big Event where students, faculty and staff come together to give back to the Conway community through volunteer service. This event, which takes place each spring semester, is an opportunity for students to serve the community that supports them year round. The Big Event began at Texas A&M University in 1982 and has spread to colleges and universities throughout the nation. Now in its fourth year at UCA, the Big Event has grown every year and attracted more than 600 student volunteers in 2016. Organizations and residents of Conway are invited to submit a job request. 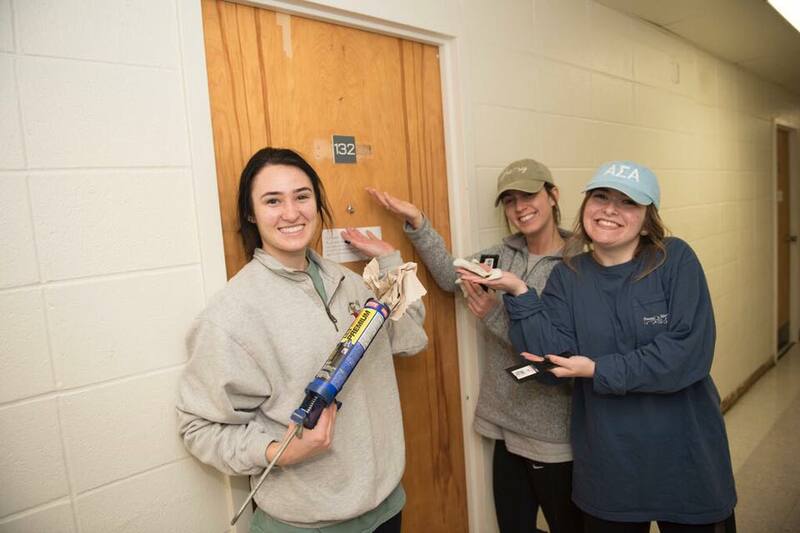 Volunteers are available for indoor and outdoor tasks ranging from raking leaves, spreading mulch, painting and minor repairs, to organizing donated goods, participating in games and activities with senior citizens or completing other proposed projects. Way to go, UCA Bears! 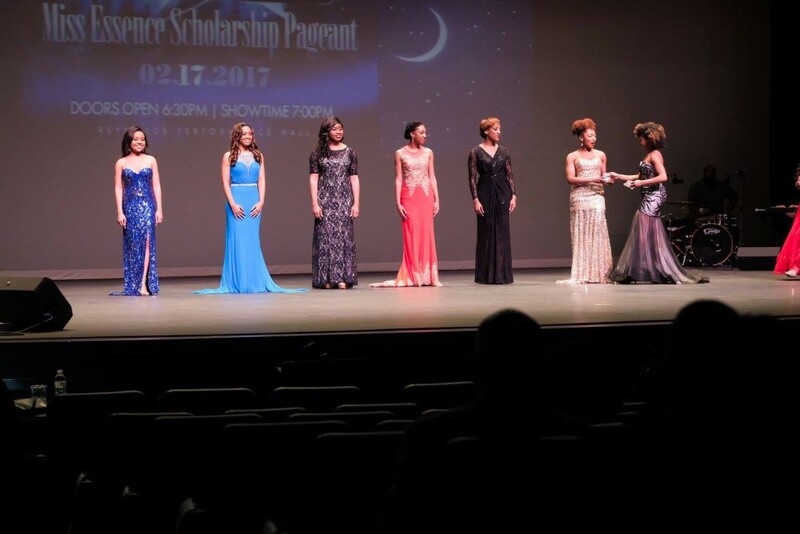 The 42nd annual Miss Essence Scholarship Pageant was held on Friday, February 17, 2017, at Reynolds Performance Hall. 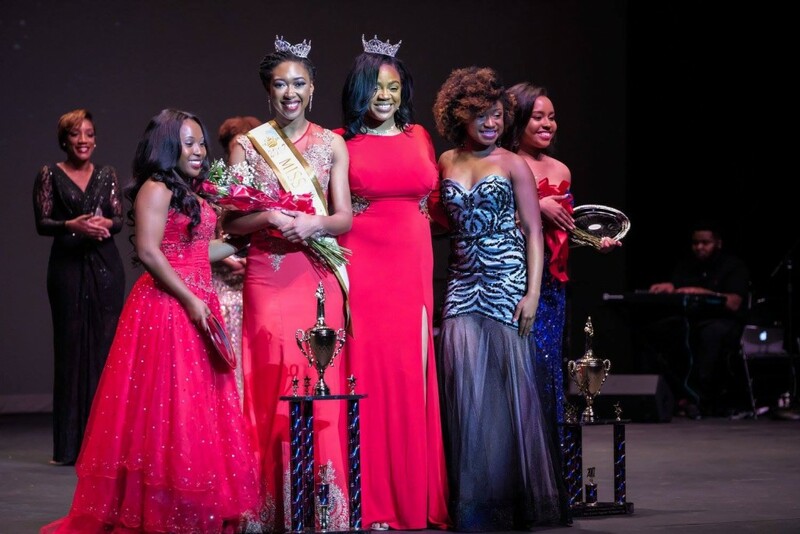 Since the pageant began in 1975, Students for the Propagation of Black Culture (SPBC) has spearheaded the event. SPBC raises money through several fundraisers throughout the year to fund the pageant. Scholarship money is then awarded to the top three contestants. The theme of this year’s pageant was “When the Clock Strikes 12” and featured many Cinderella elements. The contestants competed in swimwear, talent, and evening wear, and answered an on-stage question. The winner of this year’s pageant was Jordan Sanders. Congratulations Jordan! Every year, each Arkansas TRiO program has the opportunity to select one student for inclusion in the Arkansas TRiO Hall of Fame. TRiO programs provide educational opportunities for first-generation, low-income or students with disabilities. Although individual programs may establish their own criteria to determine their program’s selection, students chosen each embody the spirit of TRiO! 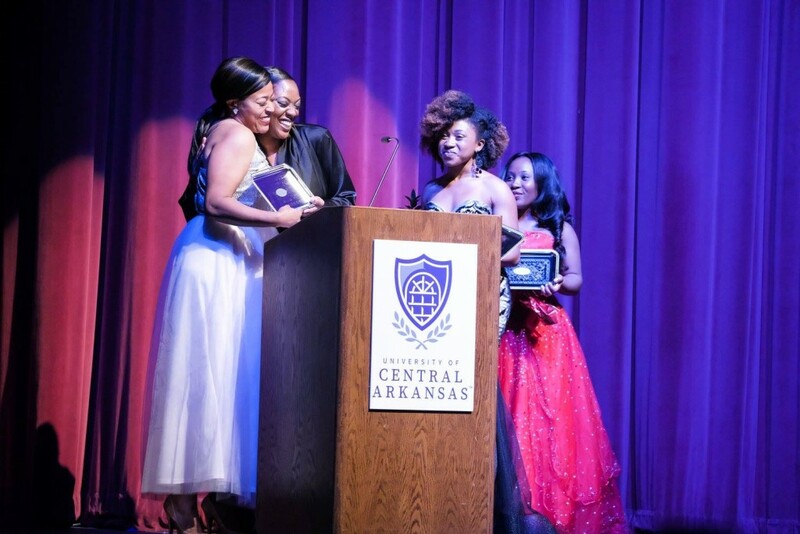 This year, we want to congratulate the 2017 Arkansas TRiO Hall of Fame student selected from Upward Bound at the University of Central Arkansas, Trey White. 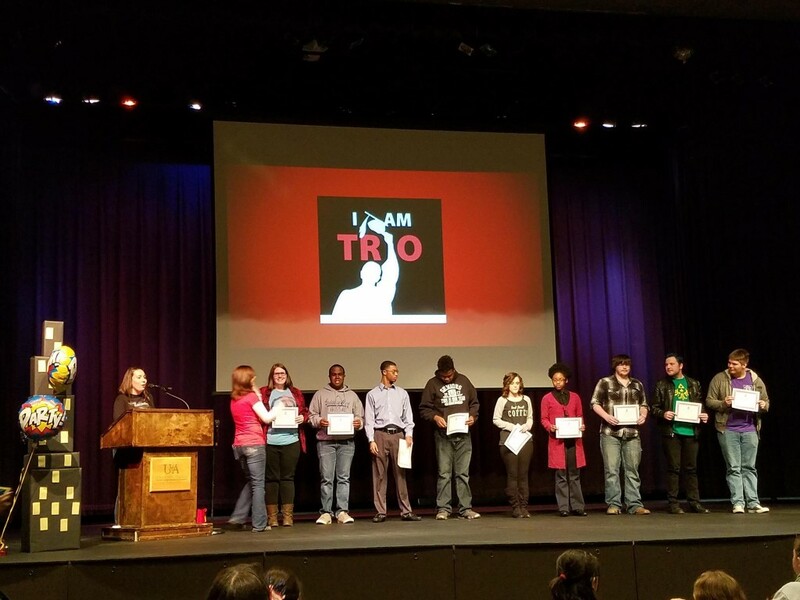 Trey was honored, along with the Hall of Fame students from other TRiO programs across the state, at National TRiO Day held Saturday, March 11, 2017 on the University of Arkansas Community College – Batesville campus. 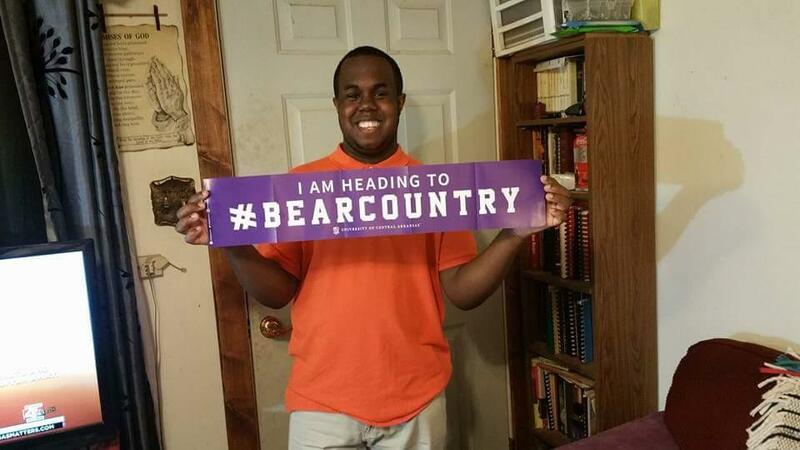 Trey will be graduating this year from Mayflower High School and plans to attend college at UCA. He wants to pursue a degree in Communications or Political Science. “My name is Trey White. I grew up in Mayflower, Arkansas, and have gone to school there my entire life. I am President of Student Council and Book Club, Vice President of the Senior Class and NHS, and Treasurer of Beta Club. Additionally, I have the special honor of being President of UCA’s Upward Bound. Upward Bound has meant so much to me. As a ninth grader, I didn’t know what to expect. I did not even understand the intricacies of what choosing a college would be like. Upward Bound has helped me grow and understand what a good college should have and what college matches my interests. I honestly can say Upward Bound has shaped me into the person I am. I feel so prepared for college and do not feel as overwhelmed as some other people I know. Upward Bound has made preparing for college easy. For more information about UCA’s Upward Bound program, visit the Upward Bound website here!